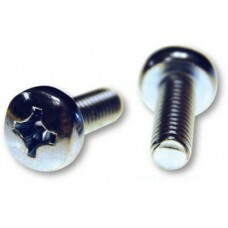 We offer a comprehensive selection of screws to mount the front and rear license plates to automobiles. 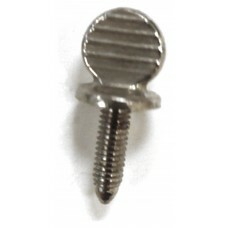 These screws are an important license plate accessory for auto dealers and private vehicle owners alike. 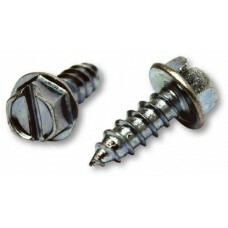 The Hex Head Screws and Pan Head Screws are both #14 1/4 in. x 3/4 in. which is the most universally compatible size and will work with more with most American-Made vehicles like Ford, Chevrolet, Dodge, etc. Hex head screws are the most popular variety since they can be installed with either a wrench or a flat head screw driver, whereas the Pan Head can only be installed with a flat head screw driver. 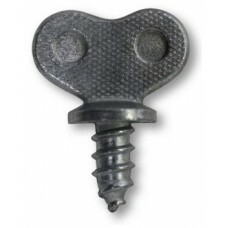 The thumbscrews are commonly used for test drives since they are easy to install with the twist of the hand. 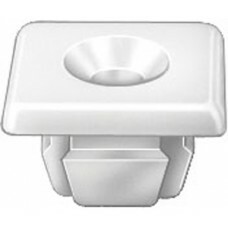 We offer thumbscrews in both American and Metric varieties. The Metric Hex Head Screws are the same as the regular Hex Head screws except they have metric sizing which makes them compatible with Honda, Toyota, and some other Japanese Vehicles. 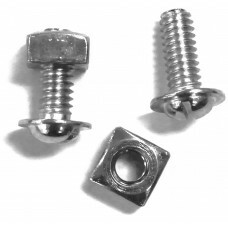 The nylon inserts are used when the license plate screw holes have become corroded; Simply slide in the nylon insert to be able to accept screws again. 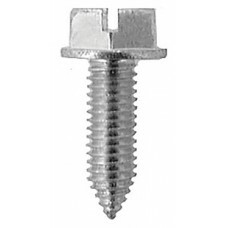 Ordering license plate screws can be a confusing process since there are so many varieties to choose from. If you need assistance, please reach out to us by phone, chat, or email and we will be happy to help you find the right screw for your application. Convenient packaging: All of our license plate screws are conveniently packaged in bags of 100 (50 for thumbscrews) and the packaged again in small cardboard boxes. This is much more convenient then buying in bulk, yet we still offer bulk wholesale pricing. Durability: Our screws are constructed from industrial grade steel with a galvanized zinc coating to prevent corrosion from the elements. These scres are designed for long-term durability and strength. 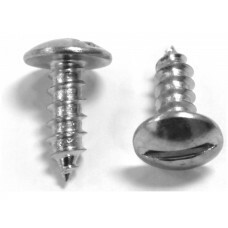 Variety: We offer a complete selection of license plate screws that will satisfy the needs of most auto dealerships.